The World Bank invites the submission of Expressions of Interest (EOI) from qualified firms to supply drone and street-view imagery data collection services in a secondary city in Indonesia. For the street view images, the firm will be expected to use both a car mounted camera as well as more portable 360-degree devices. For the drone images, the size of the area of interest (AOI) will total roughly 80 square meters, however the data can be parsed into manageable sized mosaics. All of the images submitted by the firm will be used to create a unified and detailed housing inventory database that assesses the quality, characteristics, and potential risks of each home. Survey Firm for Agriculture Household Listing, Plot Mapping and Baseline Data Collection Sustainable Land and Water Resource Management Project (SLWMRP) Mozambique. The Mozambique Sustainable Land and Water Resource Management Project (SLWRMP), financed by the African Development Bank (AfDB), aims to increase the resilience of communities towards the adverse impacts of climate change through the development of 56 small scale irrigation kits, covering either 5 or 10 ha, in the Southern province of Gaza. The Gaza province is one of the most adversely affected provinces in terms of climate change events with frequent occurrence of droughts in the northern parts and floods in the coastal areas of the province. The Project is being implemented in the four districts of Guija, Mabalane, Chicualacuala and Massengena. 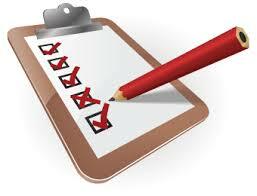 The data collection activities will feed into the rigorous evaluation of the project. Objective: This contract covers baseline data collection activities including a household survey with a high frequency module, a market price survey, and some secondary data collection. The objective of this activity is to develop a methodology and implement a data collection protocol to provide the research team with baseline data on key socio economic characteristics and outcomes relevant for the Impact Evaluation of the Senegal Warehousing Receipt System Project. About 1800 households in the Dagana region of the Senegal River Valley are expected to be interviewed. This assignment is to review the existing situation in post-disaster damage information collection and prepare a conceptual design for an improved tool and IT architecture. This assignment is for two phases: (i) to evaluate existing damage assessment and data collection methodologies as well as provide an overview of new and innovative tools and methodologies for improving damage data collection, their experiences and challenges; and (ii) to develop the conceptual design for an improved solution, including generic specifications and model architecture, and the customized specifications for Armenia to move into implementation. This assignment will design the infrastructure and variables for a generic version of such a tool which can be customized to countries around the world and different applications. It will also develop the customization for this tool to the context of Armenia, as well as the roadmap to move into implementation. The current focus in terms of natural hazards should be on tropical cyclones, floods, landslides, and earthquakes. In a later phase, other natural hazards may be added. The World Bank’s Complex Water Systems (COWS) Initiative has the objective of facilitating the Bank managements and task teams access to analytical expertise for supporting engagements on challenging and high-priority complex water systems. COWS supports the World Bank Group-wide priority engagements that require technical expertise, for understanding and providing solutions to the challenges involving multiple sectors, parties, and time scales. About five years ago, soon after we started this blog, I wrote a blog post titled “Economists have experiments figured out. What’s next? (Hint: It’s Measurement)” Soon after the post, I had folks from IPA email me saying we should experiment with some important measurement issues, making use of IPA’s network of studies around the world. At the time, we made some effort to organize an initial workshop to discuss what we know and what we need to know, but things fizzled out. Fast forward to this Spring when IPA did send out an invitation for a workshop on measurement issues (attendees found out that this is actually the second of such workshops, the first of which took place in 1999, which was when Dean Karlan met Chris Udry for the first time: the two organized last week’s workshop at Yale). Cant make it to the events in person, watch live! The World Bank (DIME Unit) seeks a firm to carry out data collection in primary health facilities and with health workers across all of Nigerias states and the FCT. T his data collection will support the impact evaluations of the SURE-P Maternal and Child Health Project and the Quality Improvement and Clinical Governance Initiative.